The Department of Economics is one of the first six departments of Assam University which began its journey in July 1994. The major activities of the department include imparting quality education to students admitted to the different academic programmes of the department and supervision of scholars at Ph.D. and M.Phil levels. The department has been laying special emphasis on developing proper understanding of the socio-economic problems and specifities of North East India. The on-going researches in the department cover such areas as agricultural economics,social sectors, human development, environmental economics, and gender studies, among others. 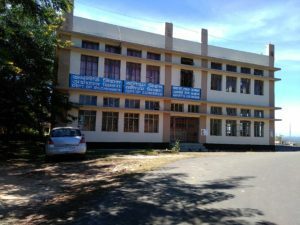 Many former students of the department are now serving as faculty members in colleges and other academic institutions both within and outside North East India. The passed out students are also engaged in banks, insurance, and other public sector industrial and service organizations.